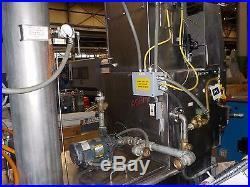 Automated Finishing Inc (AFI) Model 3693 Stainless Steel Parts Washer. Serial No 2864 New 1997. 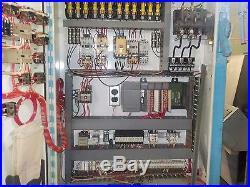 Allen Bradley SLC 501 PLC Controls. 1.5 HP mist eliminator. 3 HP wash pump motor. 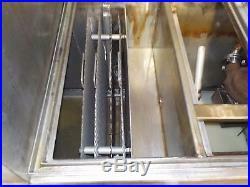 7.5 Kw wash tank heater. 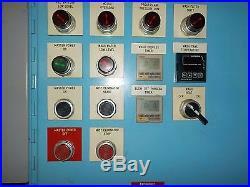 Programmable controls include Wash Process Timer, Wash Tank Temperature, Blow-Off Process Timer. The slant wash cabinet door opens and closes pneumatically. The work shelf has rails so that the work holder can slide in and out (no tray included). There is a drip pan in front of the door. Dual hand cycle controls with light curtain. 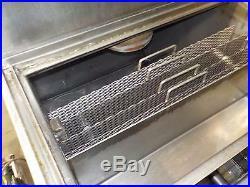 Overall Dimensions 42 x 80 x 100 ht. We will load onto flat bed truck at no additional cost. 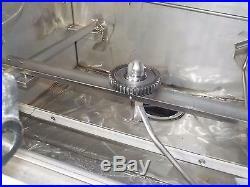 The item "Automated Finishing Inc (AFI) Model 3693 Stainless Steel Parts Washer" is in sale since Thursday, March 17, 2016. This item is in the category "Business & Industrial\Manufacturing & Metalworking\Metalworking Tooling\Other Metalworking Tooling". 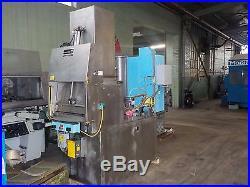 The seller is "adamsmachinerycompany" and is located in Lincolnwood, Illinois. Brand: AFI (Automated Finishing Inc.